I was terminated after I filed for workers compensation. Is this legal? 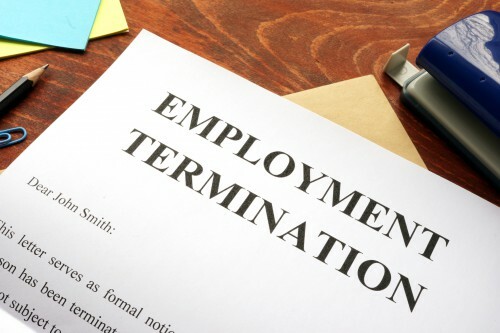 If you have been wrongfully terminated, you owe it to yourself to consult an attorney now. Contact our Los Angeles wrongful termination attorney from Rager Law Firm, they will help you get the compensation you deserve. If you are considering filing a workers compensation claim, it may have crossed your mind that this may not sit well with your employer, for whatever reason. Some employers and department heads value their safety records. Some fear their insurance rates going up. Others don’t want to fool with the paperwork. And some may not want you to be off work because you perform an essential task and the process of finding a replacement may be arduous. Legally, employers in all 50 states, including California, are forbidden from firing an employee because the employee filed a workers compensation claim. That doesn’t mean they don’t find ways to skirt the issue. If you have been wrongfully terminated, you owe it to yourself to consult with Rager Law Firm and our Los Angeles wrongful termination attorney now. We will fight for your rights and serve as an advocate for you in court to help you get the compensation you deserve. Workers covered by workers compensation are entitled to file a claim without the fear of being terminated as retribution by their employers. This type of insurance provides employees with no-fault coverage for injuries and illnesses that occur at or are due to the work that they do. However, workers in California are, for the most part, “at will” employees, so they naturally fear that employers may not take too kindly to them filing a claim and worry that they will be terminated for some other reason as a result. This is actually not unheard of in any employment-at-will state. An at-will employee is one that has no employment contract. As such, the employee can be terminated at any point, for any reason that is not considered illegal. Termination solely on the grounds that the employee filed a workers comp claim is not a lawful reason for termination. Some employers may take some otherwise minor infraction and use it for the purpose of terminating the employee, such as coming in late for work or missing work without an excuse. Some may cite poor job performance or that the employee took too many personal phone calls on the job. While there is certainly no guarantee of the outcome of any case of wrongful termination, the job of a skilled wrongful termination attorney would be to prove that the employer was using frivolous or even erroneous reasons to fire the employee in an attempt to circumvent the truth—that the employee was in fact fired for filing a claim. Retaliation is easiest to prove when the termination occurs shortly after the claim is filed. Your attorney can review your performance and attendance records and take testimony from coworkers to help prove your case in many instances. Winning such a case can be lucrative to the terminated employee. In California, workers who are fired due to retaliation for filing a claim may be entitled to up to 50 percent of their workers comp benefits for their trouble. You may also be able to recover lost wages and other expenses. Discuss the merits of your wrongful termination case with Rager Law Firm’s Los Angeles wrongful termination attorney now. Give us a call at 310-527-6994 to set up your free, confidential case evaluation.